After U.S. markets peaked in September nearly two years after Donald Trump’s victory came with the promise (and delivery) of pro-growth policies, investors got a scare in December when several factors combined with interest rate hikes by the Federal Reserve to drive down indexes. “Whether they realize it or not, they’re playing with nuclear warheads that could annihilate not just the French, but Europe’s and the entire world’s financial system,” Gore writes. “Because inextricably linked to the ends of contemporary governments ? how much they can screw up the lives of those who must live under them—is the question of means ? how do they fund their misrule? The short answer is taxes and debt,” he added. 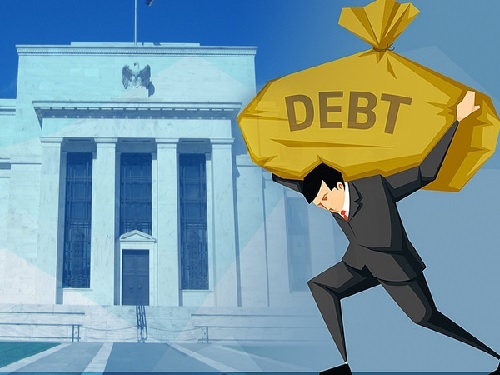 Fiat currency is not tied to any tangible asset, like precious metals, so our government — and other governments — can create as much debt as they desire (debt by fiat). And they have. So, how does a run on a single bank in France “turn into a loose yarn that once pulled, unravels the whole sweater?” Gore wrote. “The bank tries to increase its liquid funds, drawing on whatever lines of emergency credit it may have, and to convert it’s illiquid assets into liquid assets, calling in loans. This pressures other banks and financial institutions, who draw on their lines of credit and call their loans and so on until the system collapses,” he writes. And the more indebted economic systems are, the more vulnerable to collapse in a crisis. The way to undo the system, then, is to initiate its collapse — as the Yellow Vests are advocating — as a way to break the cycle of encroaching tyranny.